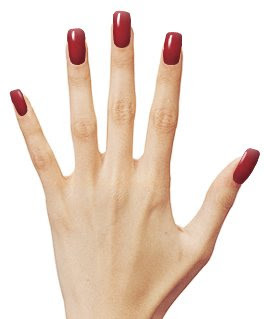 What we're looking for is that perfect nail polish color for this season. How hard can it be, you might ask? So it can be hard, at times. And in order to avoid mistakes, a lot of us keep sticking to the usual "safe" colors. But this year is about breaking out of the "habit" shell! OPI Studio is awesome, and similar to a video game, since you get to play for hours and possibly get a headache by the end (from endlessly staring at the monitor). But it's all for good reasons. and then with your mouse slide over the different nail polish colors and et voila'! While if I ever wanted to try yellow on my nails, this picture helps me visualize the horror that yellow would do to my hands. This gray would make my hands look dead! wonder if www.genopal.com a free online color selector can help you choose he right color ? this is such a great idea!! (i'll need to try it out...) do you know if there's a way to make the nails... a little shorter/more natural looking, though? I agree, very cool idea but those long nails are creepy!